Today is the first day of our new Colour Challenge! On the 15th of every month at 1000hrs GMT a new Colour Challenge will be available for you to take part in. 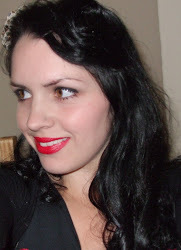 You will always be able to find the link to the latest Colour Challenge on the Challenge Page of this blog. Please follow the rules over on the Challenge Page. The Challenge Colours and the Linky Tool for entering are further down this page. Use today's Challenge Colours (below) to create your masterpiece. 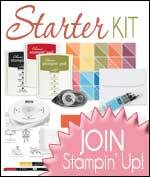 You don't have to use Stampin' Up! supplies ~ only these colours! 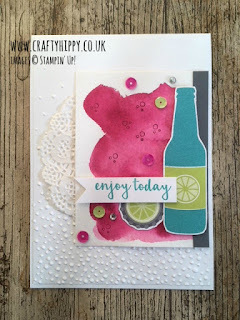 ~ but of course we love to see Stampin' Up! projects. Theme: No theme today, go wild and create whatever your imagination allows! I loved using the Aqua Painters to create a wash of Berry Burst on the Watercolor Paper. 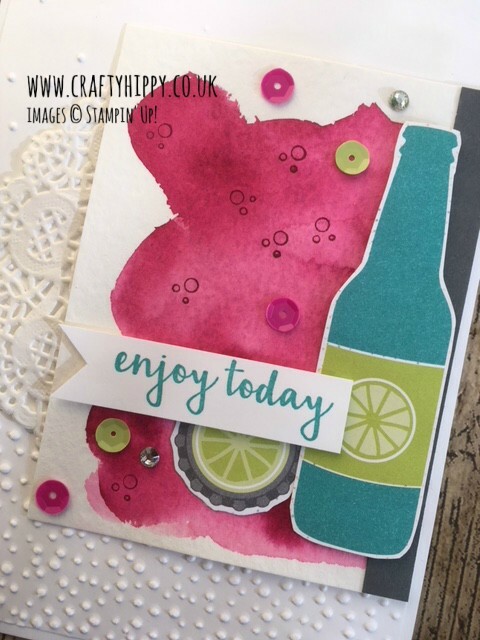 To be honest, this whole card was constructed around the marvellous bottles of pop from Bubbles & Fizz (FREE with a £45 purchase) because they're so adorable. I added some Rhinestones and some Tutti-Frutti Adhesive-backed Sequins to finish my project off. Use the Linky Tool below to enter. Good Luck and most importantly, have fun!